Most ailments and illnesses derive from the gut. Not convinced? Consider this: Microbiomes are microorganisms in the body that hold the secrets to our health and wellbeing. They tell us what we should eat or avoid like the plague. The amazing thing about technology is that with advancements, we can actually link up with the powerful knowledge in our bodies to improve our wellbeing. Here’s why you should try Viome, an at home test combining Metatranscriptomic Sequencing Technology and artificial intelligence to significantly improve your quality of life. Basically that means they are able to learn about everything going on in your gut. Viome utilizes two testing techniques, a gut intelligence test and metabolic test, to identify species and strains of organisms in the gut. What you eat affects how active or inactive the organisms are, and whether or not your dietary choices produce nutrients or toxins from the organisms. Based on the information found from the tests, artificial intelligence recommends foods you should be eating or avoiding, to improve health and wellbeing. Viome is the only company to offer a personalized guide for nutritional recommendations based on scientific evidence of your gut. This means you’ll gain valuable insight into what foods provide nutrients to your body, and ultimately improve health, and which foods produce toxins that manifest as physical ailments. The old adage “go with your gut” applies here because you’ll actually know what your gut wants, rather than guessing. Viome breaks down the science of what microbes contribute to your metabolism, and results include recommendations of macronutrients ratio, what superfoods you should eat, indulge in, minimize, or avoid. Why is this information so fruitful? Essentially, what you eat permeates into every facet of wellbeing including your sleep cycle, weight, energy levels, mental clarity, etc. Food is a powerful agent in steering our health, so with the knowledge from the Viome test, combined with nutritional recommendations, you can exponentially improve your quality of life by eating the right foods for your body, and avoiding foods that are toxic to your health. 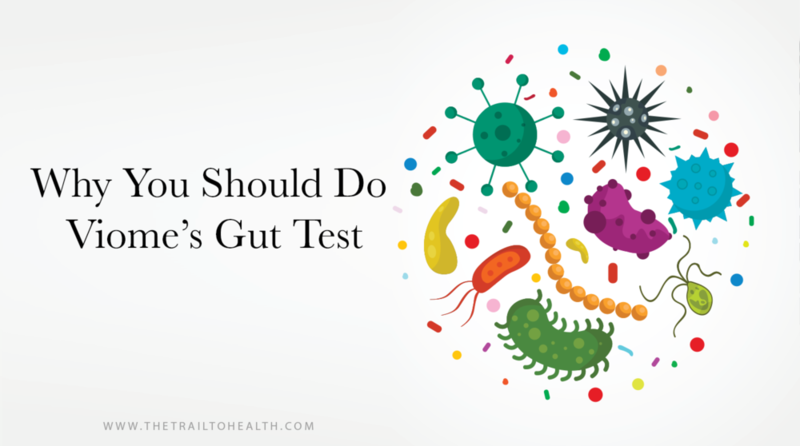 While other at-home tests can test your gut, they can’t give you personalized diet and nutrition guidance to improve your wellbeing. That’s the Viome advantage. In fact, Viome is the only gut test that utilizes metatranscriptomic analysis. Essentially, it’s a genomic test that offers insight into which molecules your microbes are actually producing, and which molecules are harmful, harmless or non-affecting. Knowledge requires action, and that’s what Viome offers, a comprehensive analysis of your gut, and the tools you need to make changes that will greatly improve your health. Follow your gut and try Viome’s home gut test. Use this link and you even get $10 off your order!